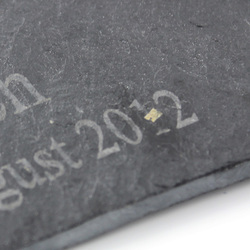 Personalise this Four Pack of Slate Coasters with two lines of 15 characters either side of a cute heart motif. 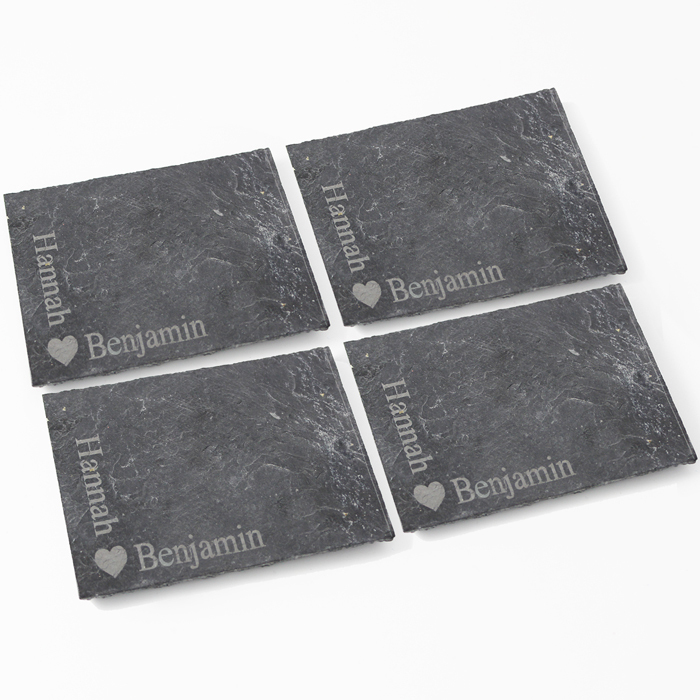 Each Coaster has cork pads on the underside to protect the surface they are placed on. Ideal for Wedding Gifts, New Home Presents, Anniversary Gifts, Valentine's Day.